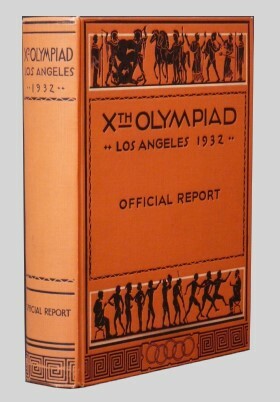 COPYRIGHT, 1933 XTH OLYMPIADE COMMITTEE OF THE GAMES OF LOS ANGELES, U. S. A. 1932, LTD. 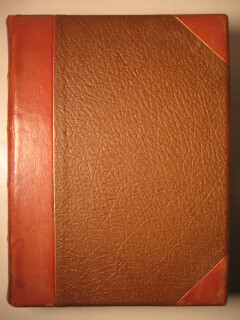 Founding of the Modern games . .
Count de Baillet-Latour, Organizer of the Modern Games . . . . . . . The Olympic Structure . . . . .
International Olympic Committee . .
National Olympic Committees . . . .
International Sports Federations . .
Olympic Attachés . . . . . . . .
Honorary Committee . . . . . .
California Olympiad Commission . . . The Organizing Committee . . . . . 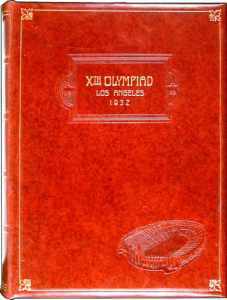 The Games of the Xth Olympiad . . .
Organization of the Games of the Xth Olympiad . . . . . . . . . .
Managment of the Games . . . . .
Sports Booklets and Bulletins . . . Stadiums, Special Construction and Facilities . . . . . . . . . .
Equipment and Facilities . . . . . .
Tickets and Attendance . . . . . . Credentials . . . . . . . . . .
Stadium Administration . . . . . .
Traffic Control . . . . . . . .
Communication System . . . . . .
Compilation of Records and Results . Photography . . . . . . . . .
Daily Programmes and Concessions . .
Flags and Decorations . . . . . .
Musical Organizations . . . . . .
Medical Service . . . . . . . .
Press Department. . . . . . . . Entry, Customs, and Travel Arrangements . . . . . .
Sports Entry Forms and Registration . The Olympic Village Idea. . . . .
Arrivals . . . . . . . . . . . . The Olympic Village . . . . . . .
Women's Housing . . . . . . . . .
Hotel Accommodations . . . . . .
Training Arrangements . . . . . .
Transportation Arrangements . . .
International Olympic Committee Meetings . . . . . . . . . .
Federation Congresses . . . . . .
Entertainment . . . . . . . . .
Medals and Diplomas . . . . . . . The Opening Ceremony of the Games . The Competitions . . . . . . . .
Track and Field Athletics—Men . .
Track and Field Athletic—Women . .
Weightlifting . . . . . . . . .
Fencing . . . . . . . . . . .
Field Hockey . . . . . . . . .
Cycling . . . . . . . . . . .
Wrestling . . . . . . . . . .
Modern Pentathlon . . . . . . .
Yachting . . . . . . . . . . . Swimming . . . . . . . . . . . Gymnastics . . . . . . . . . .
Boxing . . . . . . . . . . . .
Rowing . . . . . . . . . . .
Equestrian Sports . . . . . . . . Shooting . . . . . . . . . . .
American Football and Lacrosse . .
Art Competitions and Exhibition . . . Victory Ceremonies . . . . . . . The Closing Ceremony . . . . . .
Finance . . . . . . . . . . . Roll of Honor . . . . . . . . .
Roster . . . . . . . . . . . .